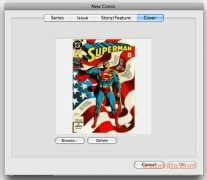 This tool is perfect for all those comic fans who want to manage their personal collection. 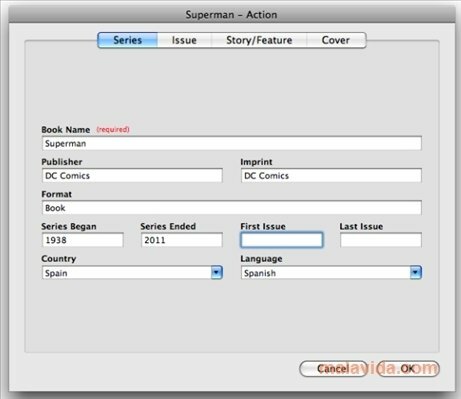 Comics is a utility that makes it possible to catalog a whole collection, making it a lot more accessible. What's more, you will be able to carry out quick and simple searches about all your favorite characters. You will be able to add all the necessary information for this task. 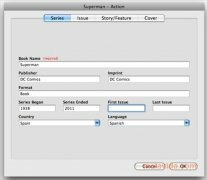 Titles, authors, main characters, publisher... There are more than 33 fields available to fill in for each of the numbers. It even allows you to add sample images to each record, something that can come in very handy to assign the cover to each issue so as to have a visual aid to recognize them at a later date. The comic data can then be exported as an HTML file or directly to the printer. Better still, if you have an Internet connection you will be able to search over Internet by means of its WebSearch function. 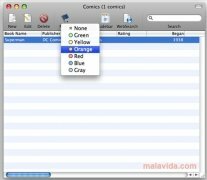 Another options that Comics offers is to classify the different series by colors and to give each issue a score. 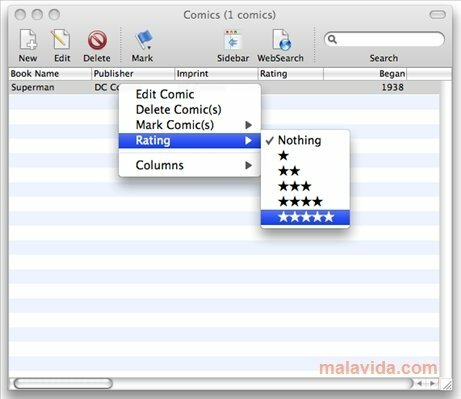 The faithful comic lovers will find a sensational tool in this application with which to manage their full collection. 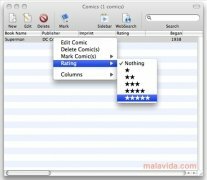 Maintaining all the different issues and series is something very easy thanks to Comics. The trial version only allows to catalog a maximum of 10 titles and offers a limited amount of results with the WebSearch function.